In preparation for my family’s summer road trip, I decided I wanted a version of the US maps with labels on it. 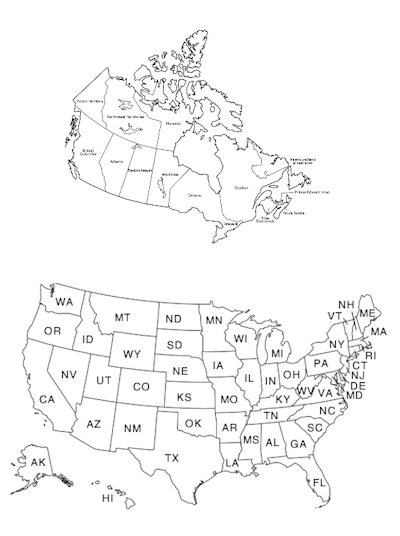 I plan to have my kids color in each state as we drive through it to give them a sense of how big the states and country are. I also plan to use it in conjunction with the License Plate Game. When we see a license plate for a state I’ll have the kids color that in on a separate map in the hopes of improving their US geography a little bit! This entry was posted in Entertain, New Clipart, Teach. Bookmark the permalink.